Storm Reid striked a pose this evening(June 24th) on the white carpet at the 2018 BET Awards at the Microsoft Theater in LA. 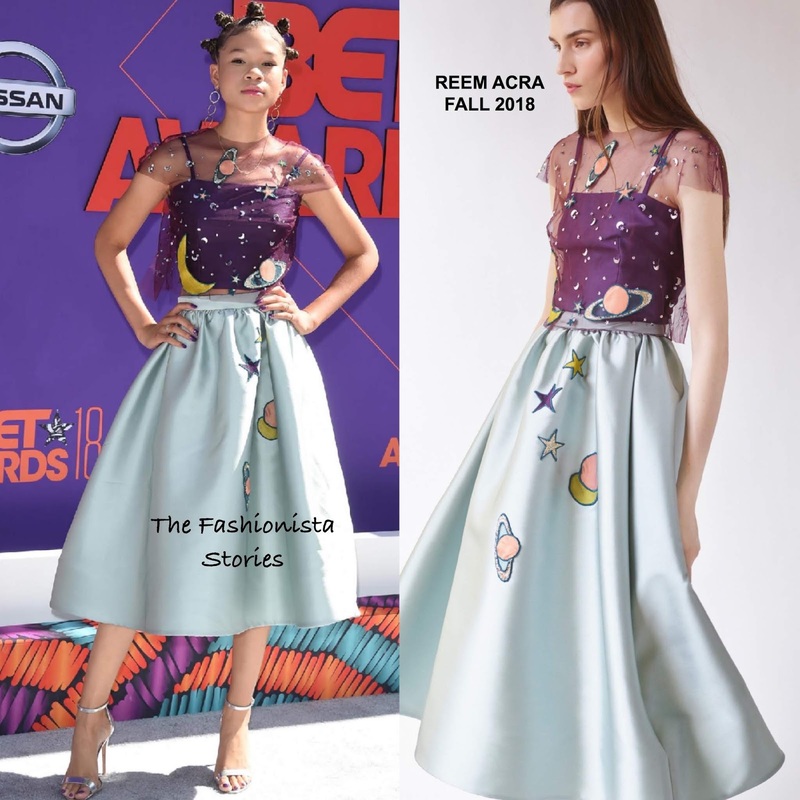 The REEM ACRA FALL 2018 has been seen on the red carpet a lot by young starlets and it is no surprise as the collection works perfectly on them. Storm looked great in a tulle layered purple crop top and light blue satin skirt which featured planet embroidered appliqués. Storm always does fun braided looks with her hair but I am loving her with these bantu knots which topped off her look along with silver metallic sandals and JENNIFER MEYER earrings.